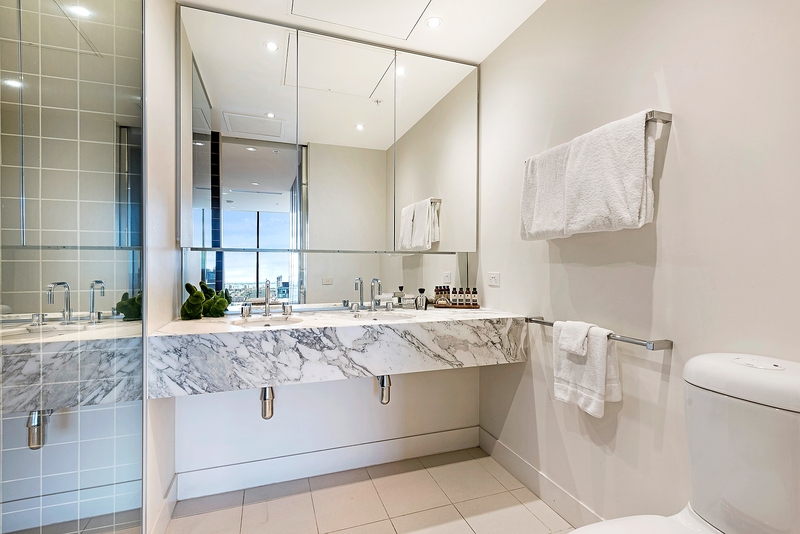 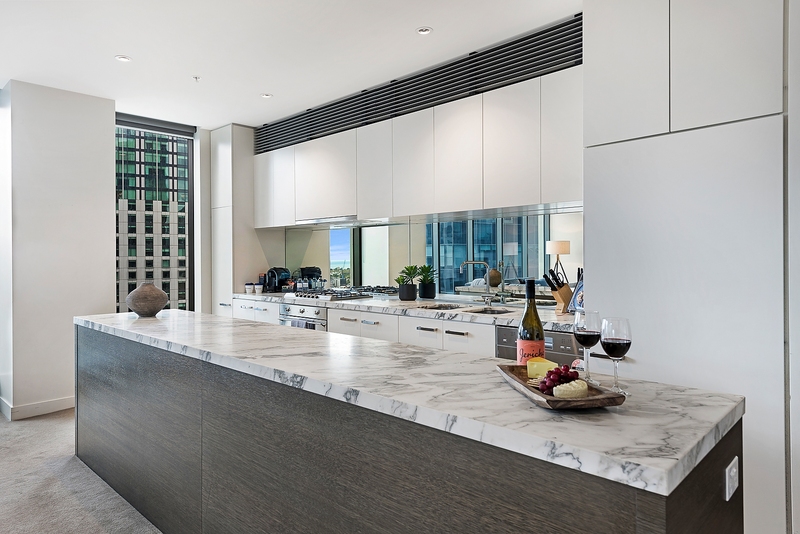 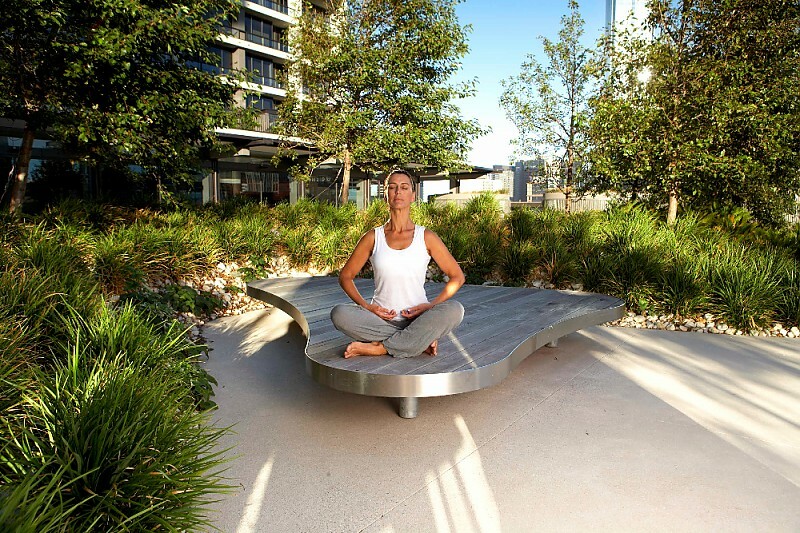 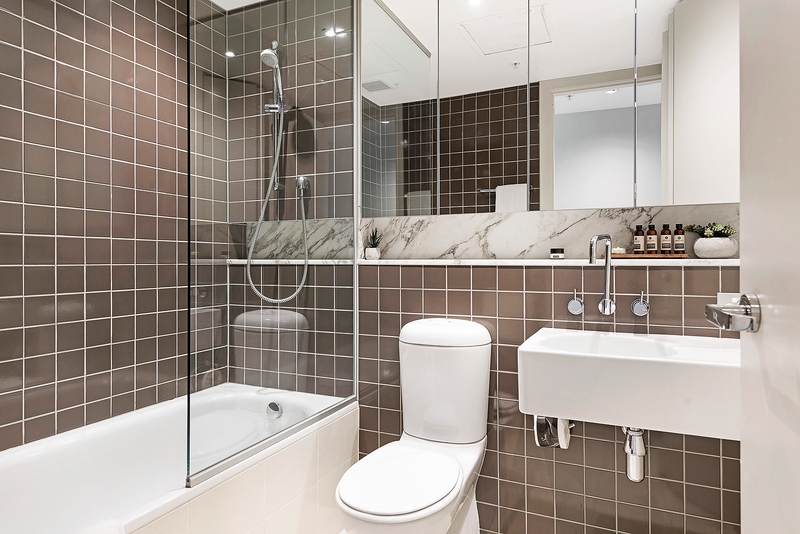 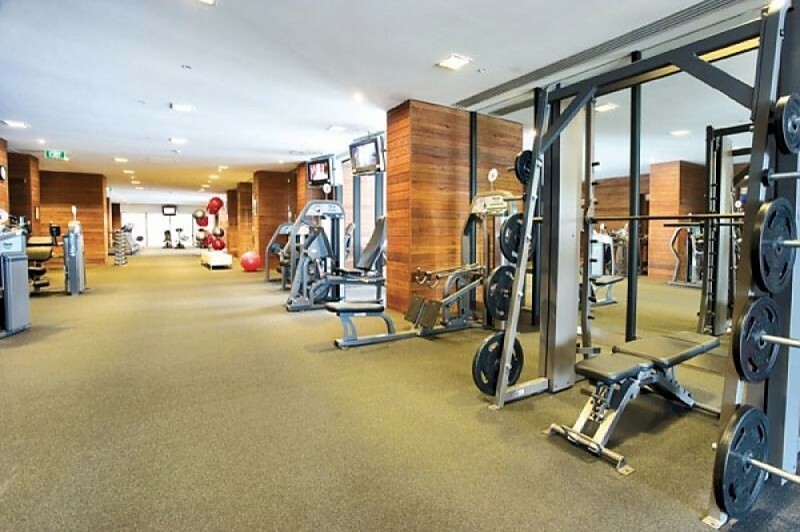 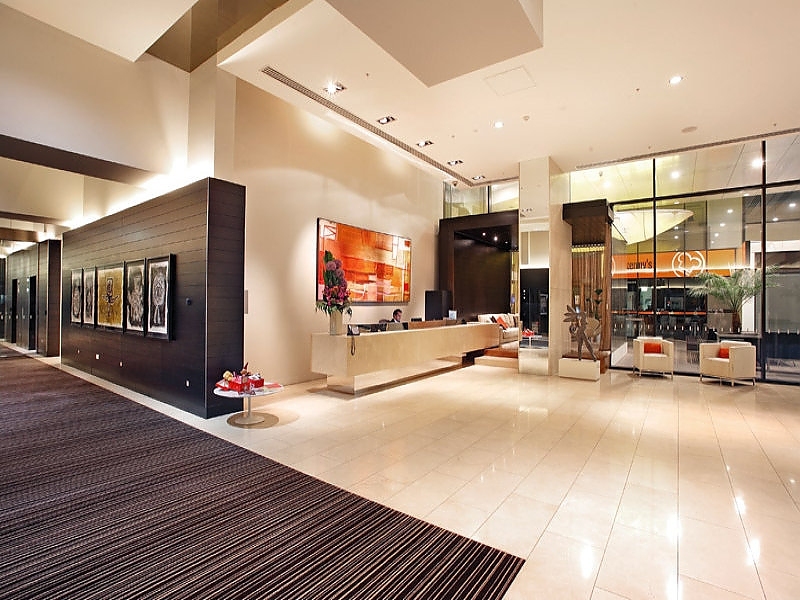 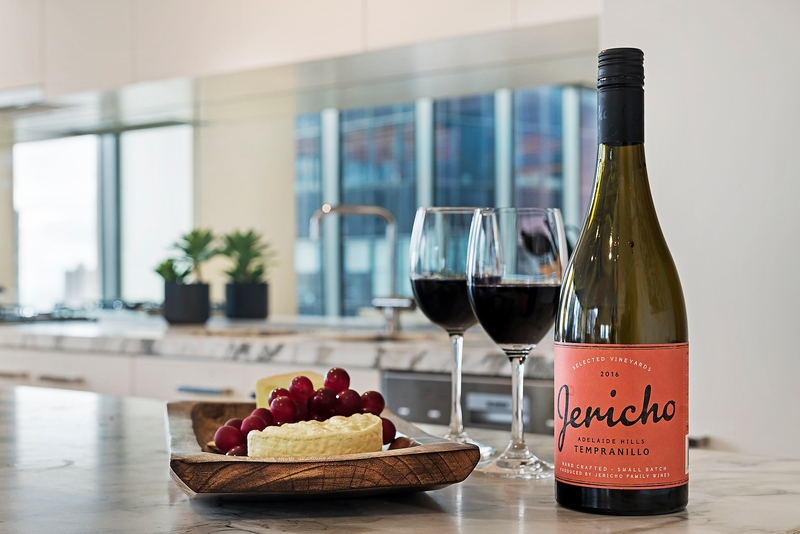 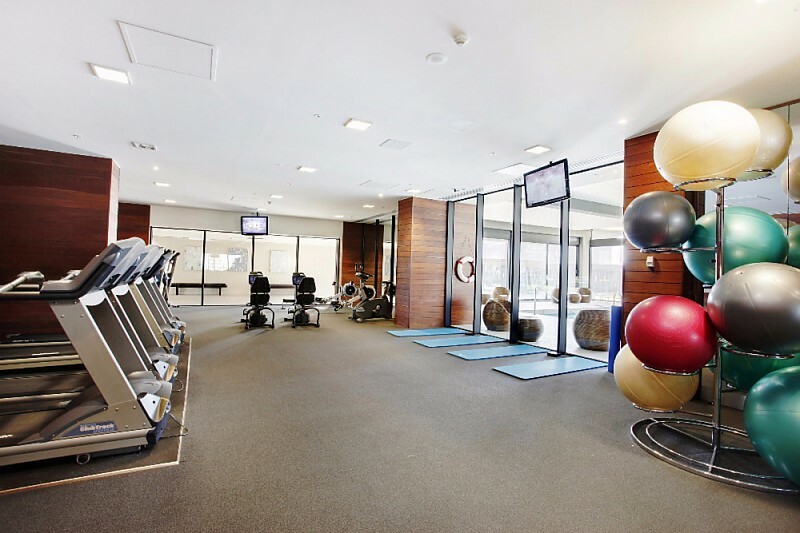 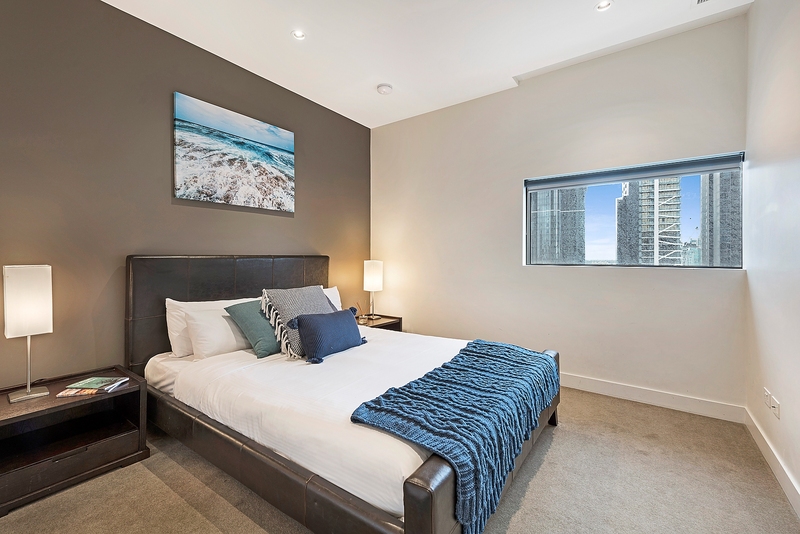 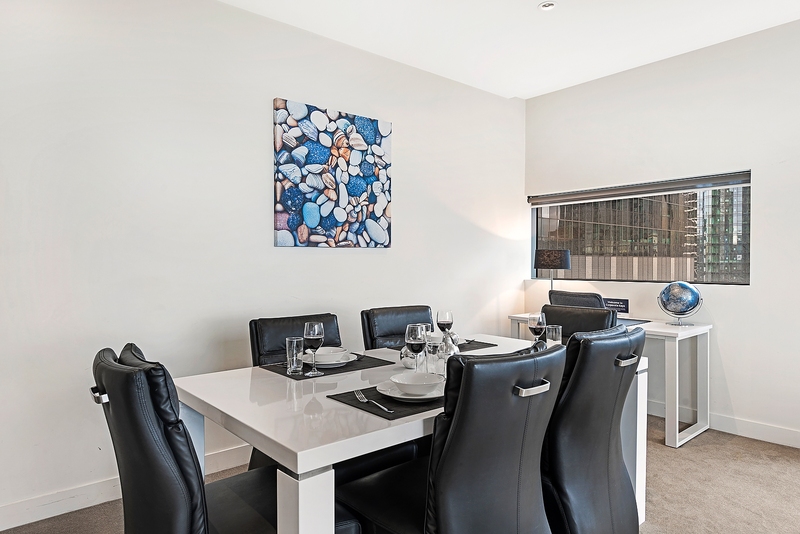 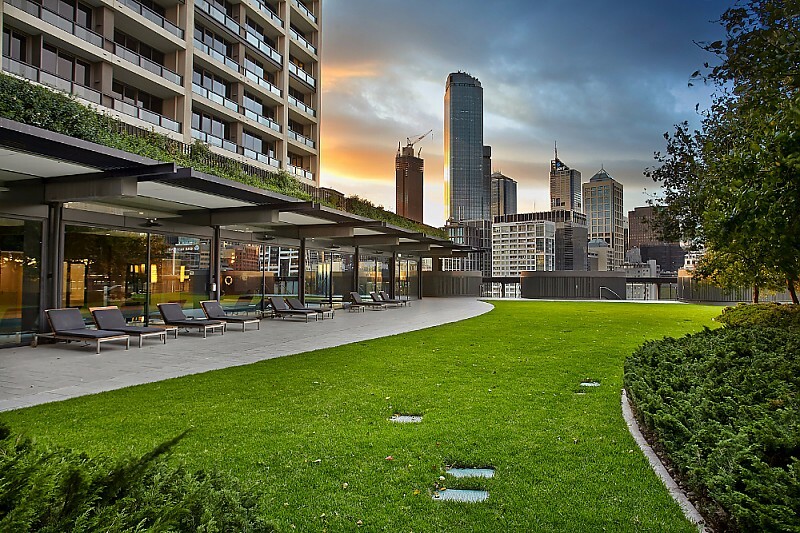 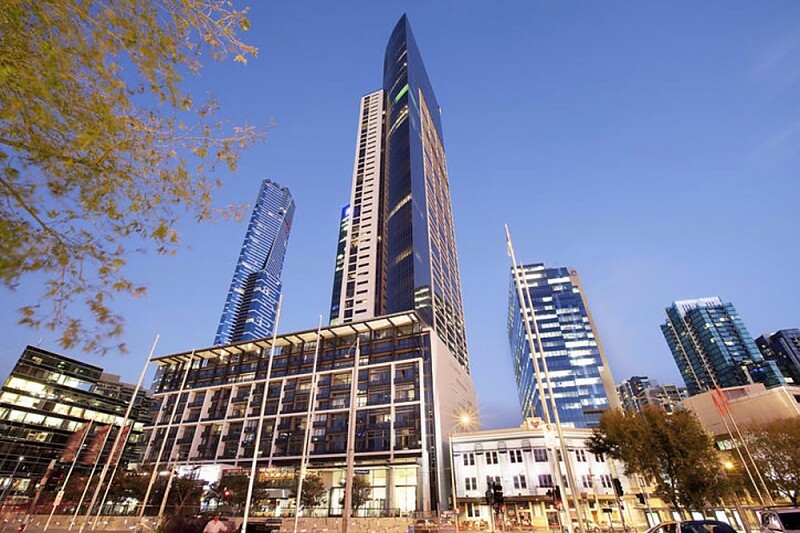 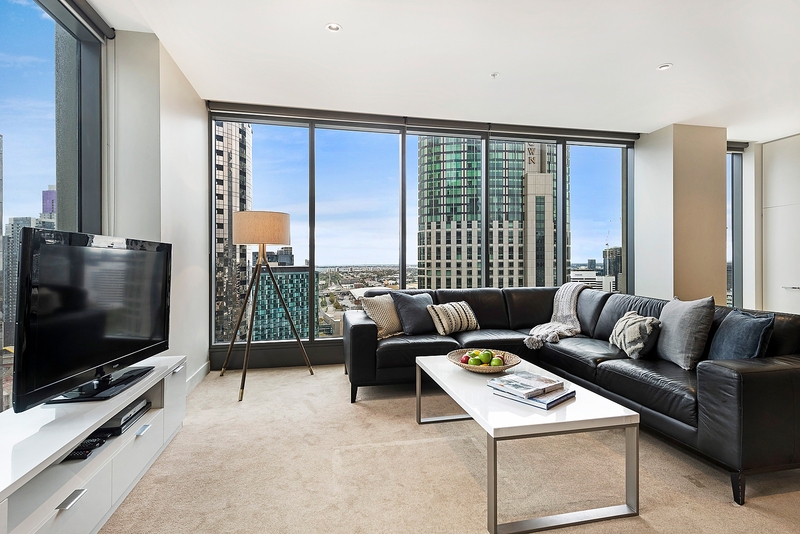 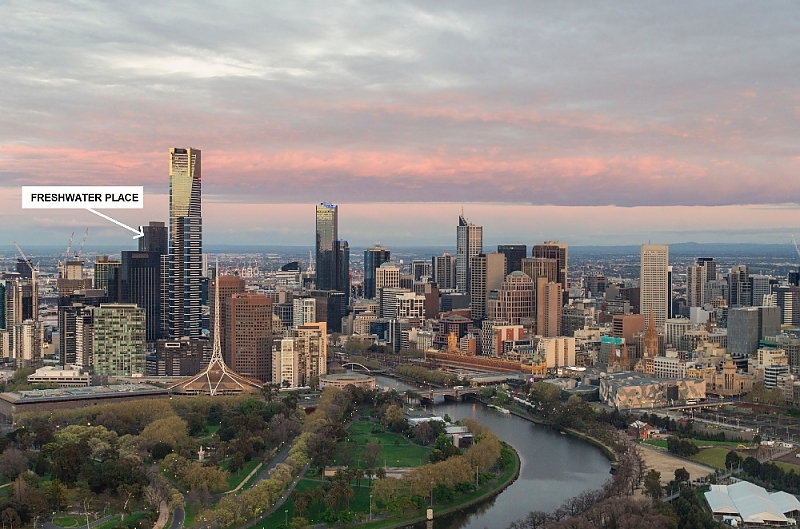 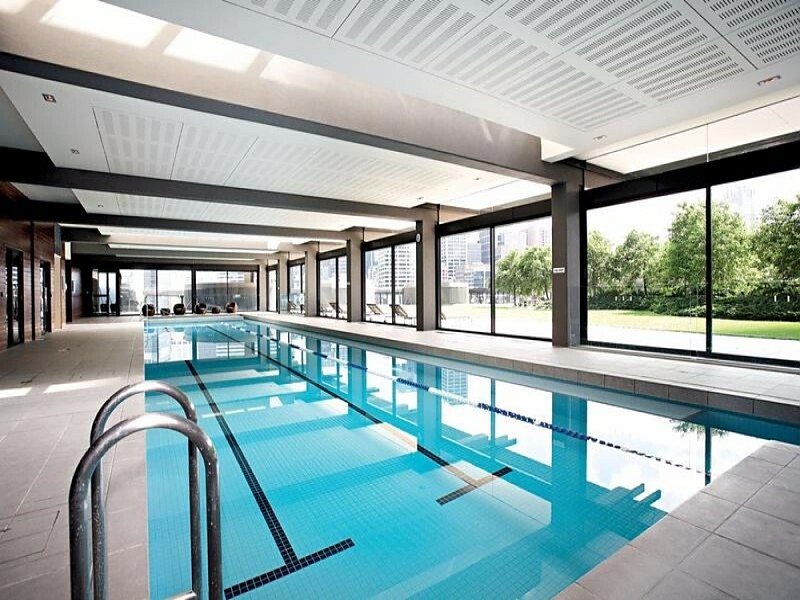 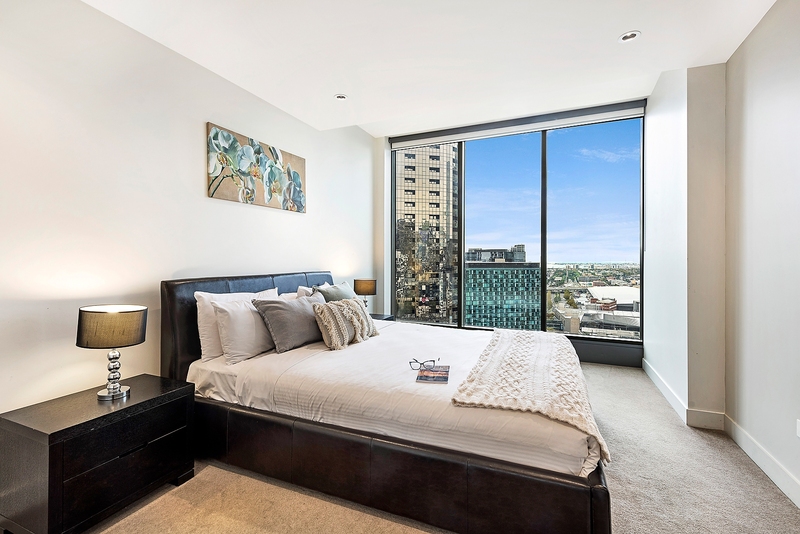 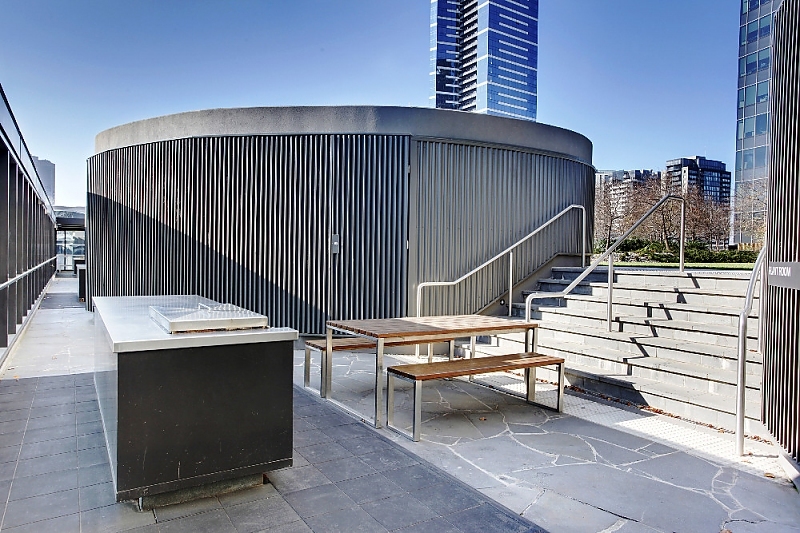 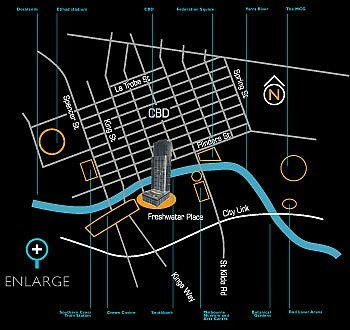 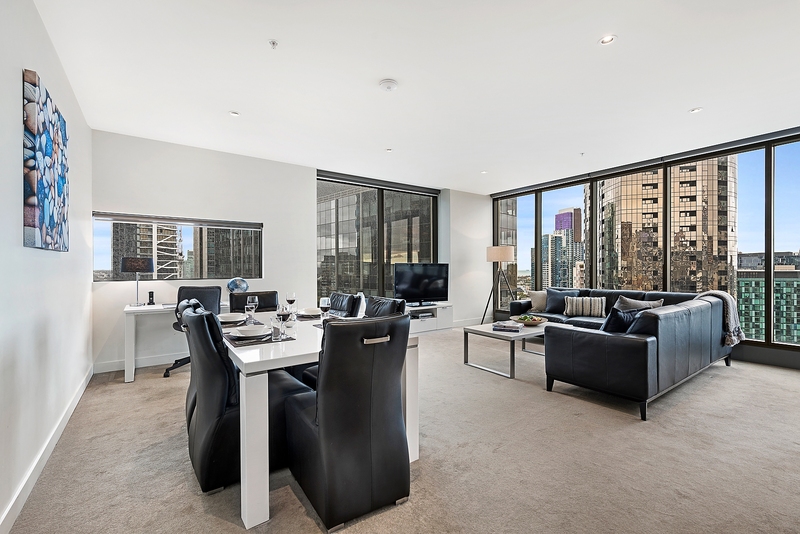 Free parking and free wi-fi makes this large two-bedroom, two-bathroom apartment excellent value, set in a prestigious Southbank complex located on the banks of the Yarra River and within easy reach of all Melbourne CBD amenities. 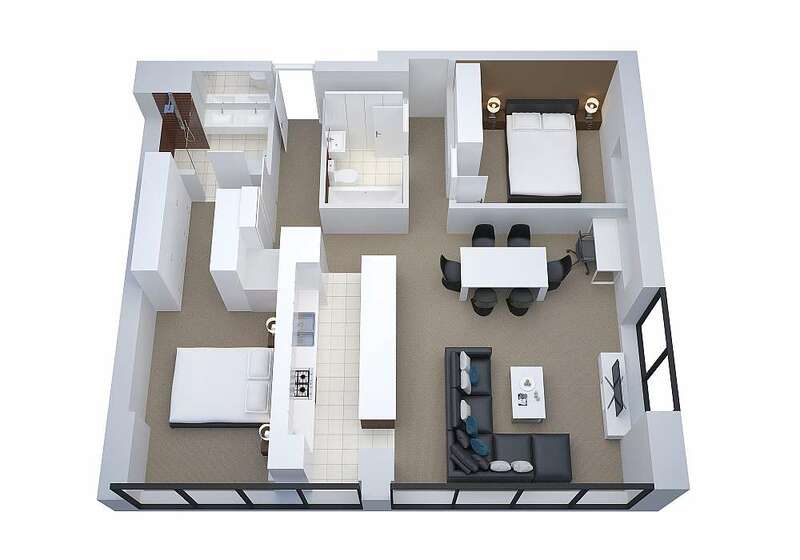 Corner city views are on show form the carpeted, open-plan living/dining room with adjoining full-sized kitchen that features stunning marble-look stone bench tops, a stylish mirrored splashback, large pantry, gas cooking and premium European stainless steel appliances including dishwasher and microwave. 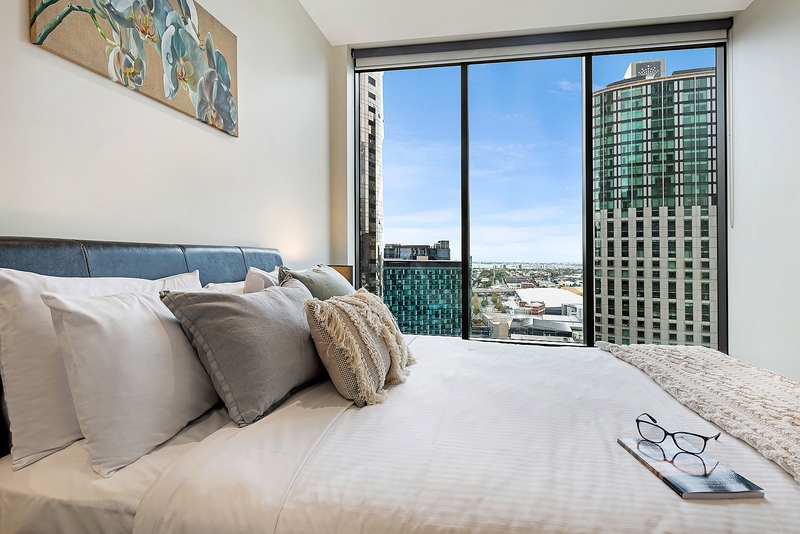 The master bedroom – with two built-in robes and luxury ensuite with double vanity – also features bright floor-to-ceiling city views, and the second bedroom – also with built-in – is opposite the main bathroom with shower over bath. 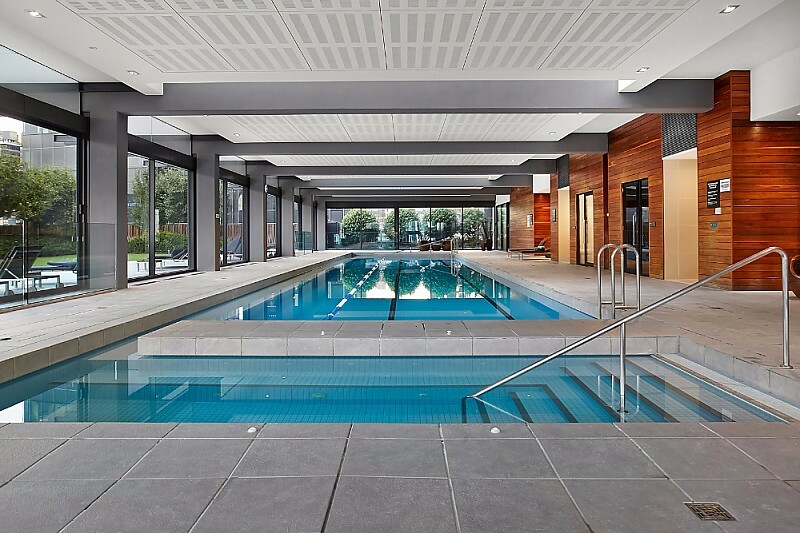 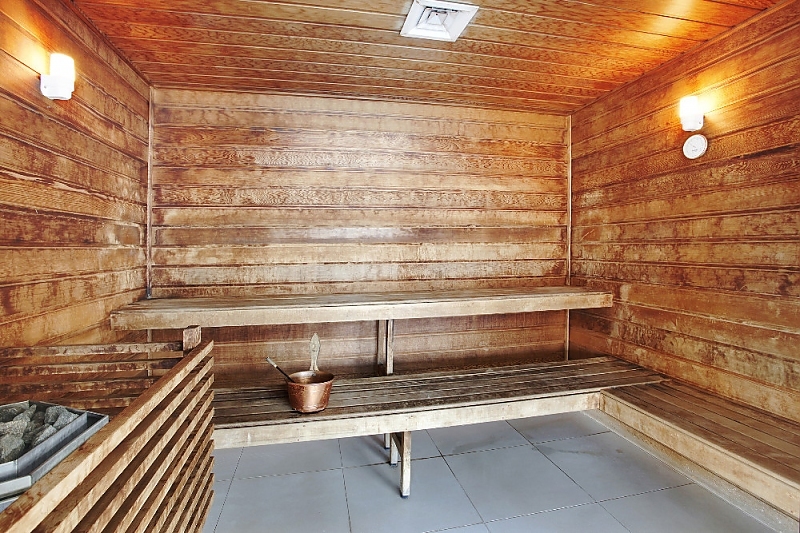 Start your workday with a swim in the onsite lap pool with sauna, stay active in the fully-equipped gym, and enjoy sunny weekends in the manicured gardens with barbeque facilities.